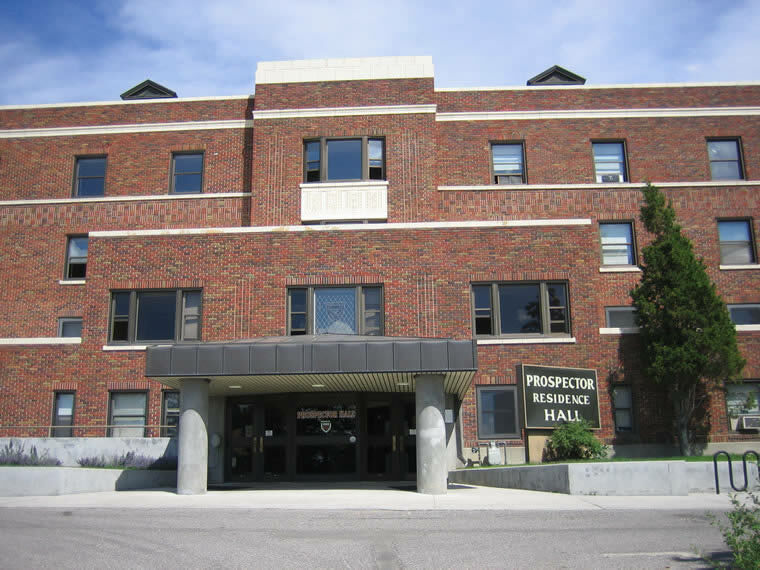 Prospector Hall was the Montana School of Mines' first, dedicated residence hall. It was completed in 1935 during the presidency of Francis A. Thomson, and it originally housed 110 students with additional space to accomodate a house mother, proctors, instructors, and guests. 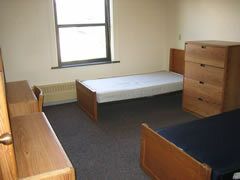 It now houses just under 200 students and is the home of the Office of Residence Life. 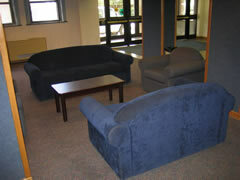 Like Centennial Hall, Prospector Hall features a kitchen, a coin-operated laundry room, a computer lab, a TV lounge, and study areas. Students receive their mail at the building's front desk, and cleaning supplies and additional services are also available there. 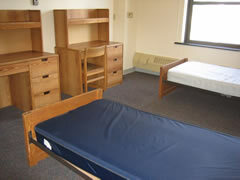 All rooms have Ethernet ports and are cable-ready, although students must contract with Bresnan for cable TV services. The entire building has Wi-Fi access which students may access through their campus network accounts. Prospector Hall is older than Centennial Hall, but students have commented that is has more character and is a more social environment due to the higher occupancy. Most rooms are traditional, double-occupancy, but Prospector Hall does include single rooms as well as several suites where two or three double rooms share a private living area and bathroom.